Would you love to experience quality air in your home? If that is so, you have come to the right place. We offer high-quality duct cleaning services in the Kent area. We are the top choice for customers since we offer great duct and vent cleaning services at great prices. The primary drive of our air duct cleaning Kent Company is to ensure that you have quality air for you and your family. If you have not had your house air vents cleaned in a while, you need to call us at (206) 319-5980 for a consultation. Dirty vents could lead to serious health problems for you and your family. What Causes the Air Ducts to Become Dirty? Air ducts accumulate debris every day since they are part of the HVAC system. One section of this system takes outside air and brings it into the house while the other takes air in the home outside. It is only natural that debris, animal fur, and dust particles from both outside and inside the house will settle in the house air vents. With time, the debris could build up in the vents to dangerous levels. That is why you need to get a furnace cleaning service to keep your family safe. Many of the health issues that you will face because of mold on air vents are allergic reactions. In most cases, family members will complain of itchy eyes, congestion, a runny nose, and other flu-like symptoms. Although these may seem like ordinary occurrences, a home with excessive mold on air vents will face issues throughout the year. Dirty house air vents can be primarily a significant problem for a home that has a small kid in it. How Can You Tell Your ducts are dirty? A simple inspection can tell if you need the services of a certified duct cleaning company. 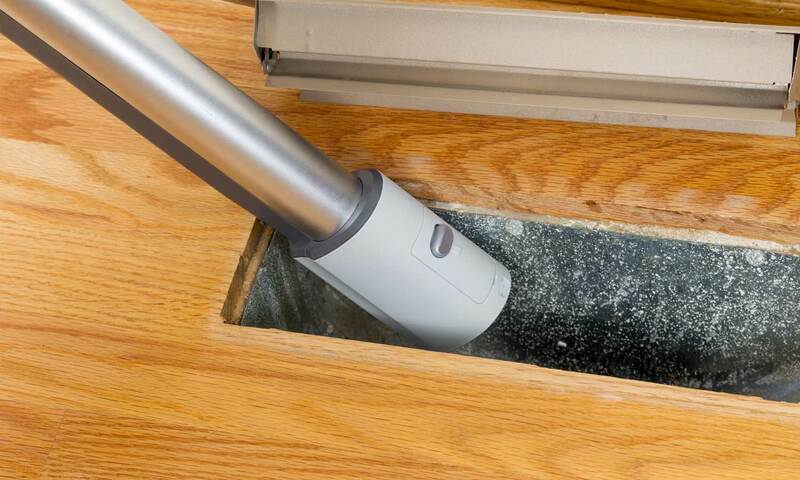 If your ducts are dirty, a layer of fine dust will have accumulated on the surface. You may also notice mold on air vents during your inspection. You need to invite an air vent cleaning company to the house. In some instances, you will even notice a bad smell emanating from the house air vents. No matter the kind of signs you find, you should get the ducts cleaned as it is a safety problem for you and your family. Contact us today at (206) 319-5980 for use to conduct a professional inspection of your ducts. We will ensure that every component of the HVAC system is cleaned, thus improving the air quality. Our licensed heating duct cleaning experts will examine every aspect of your home ventilation system. They will use sophisticated cleaning equipment such as an industrial vacuum. They also have advanced optical technology that helps them to inspect the ductwork to ensure no hidden debris is left behind. Call us today at (206) 319-5980.